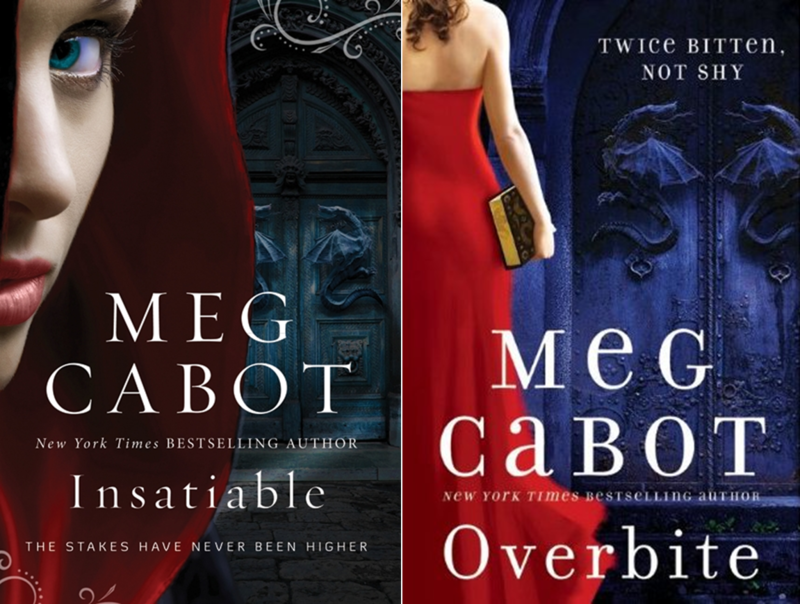 this week I’m reading Insatiable and its sequel Overbite by Meg Cabot (published in June 2010 and June 2011 by Harper Collins). It’s an Adult Urban Fantasy with vampires and romance. I enjoy Meg Cabot’s books and I love vampire stories, so the only reason I waited this long to read this series is that Insatiable received bad reviews when it came out. I now wish I hadn’t paid attention to those reviews, because I really loved these books! Obviously, this isn’t your usual paranormal romance. Meg Cabot references the entire vampire mythology, from Vlad The Impaler to Sookie Stackhouse and Twilight. She mixes elements of a thriller (dead girls turn up in Central Park) with fun comedy moments. It’s a truly enjoyable read, and I recommend it if you like well-written vampire stories. This entry was posted in Book of the week and tagged Book of the Week, EM Castellan, Insatiable, Meg Cabot, Overbite, Urban fantasy, Vampire books. I really like Meg Cabot’s Heather Wells Mysteries. I’ll have to try this series out. Although, I don’t usually do vampires. I’ve read Insatiable and really enjoyed it, but I haven’t got around to reading Overbite yet. I’d love to know what you think once you’ve read it.